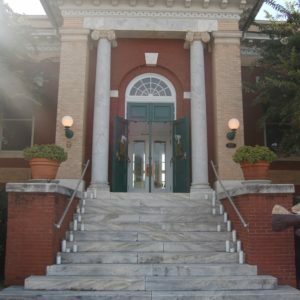 Exposed brick walls, heart pine floors, wooden beams, and original elevator lifts give the Anderson Arts Center its unique character. Located at 110 Federal Street, Anderson, SC 29625. 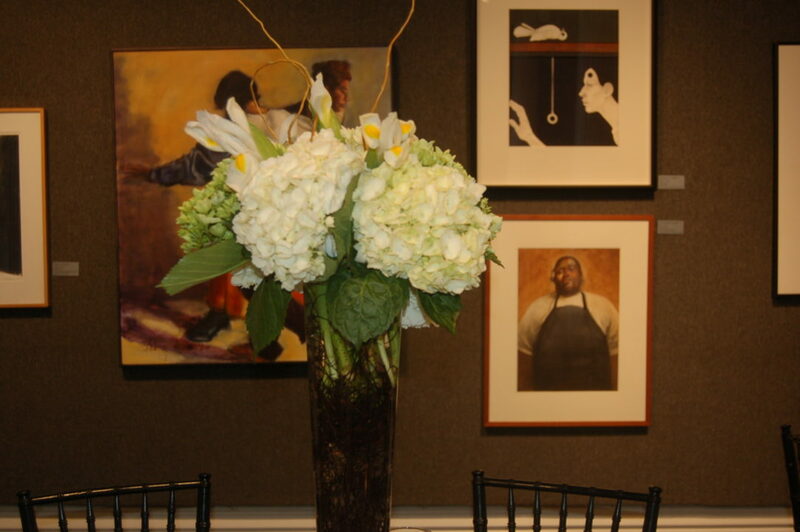 A creative ambiance filled with original works of art for your backdrop, based upon current exhibition. An atrium with stairway and a skylight for natural lighting. An outdoor patio when weather permits. 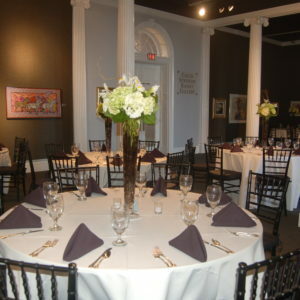 The galleries can easily accommodate 300 guests or more. A movable bar is available to be placed in prime areas within the galleries. 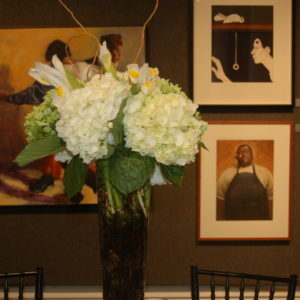 *An arts center representative will be on site throughout your event. There are several events packages available from which to choose. Please view the Wedding Package brochure or contact us at 864.222.2787 for more details. 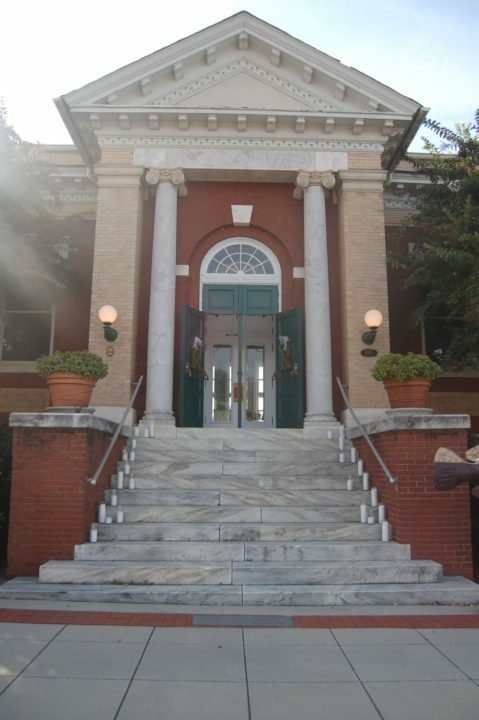 The historic Carnegie building located at 405 North Main Street was constructed in 1908 through funds granted by the Carnegie Foundation. 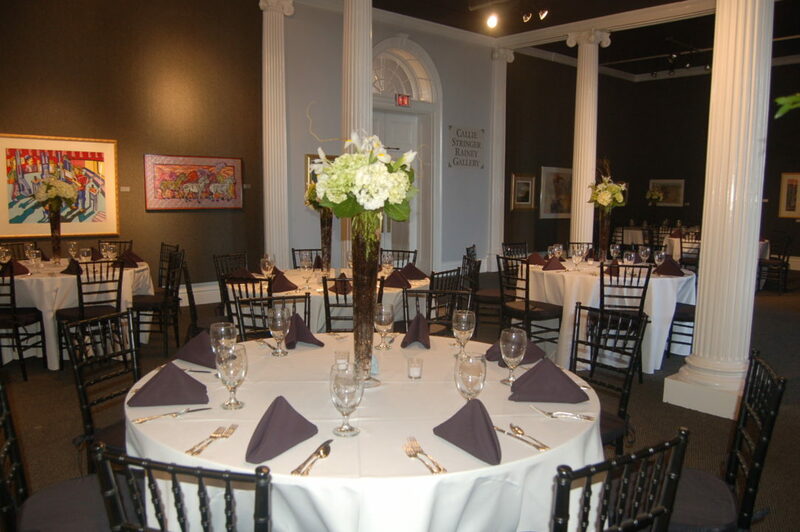 This beautiful open gallery, is the home of the Anderson Arts Center’s Permanent Collection. Large white fluted columns line the middle isle between the three galleries. 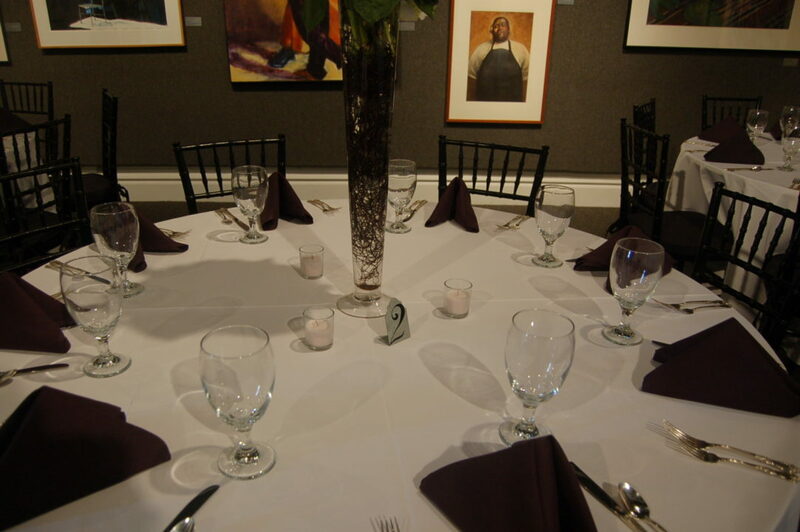 The tall ceilings and bright interior of this gallery make the Carnegie perfect for any event! 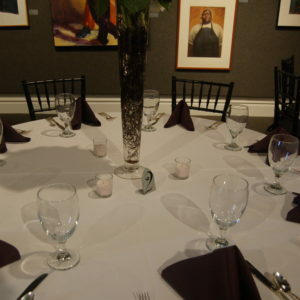 The galleries can easily accommodate up to 150 guests comfortably.